An absolutely adorable 1960s baby-sized version of Harry Bertoia’s iconic wire chair for Knoll. This rare size is smaller than the more ubiquitous Child’s Chair. Perfect in a nursery, playroom, patio, or just as a beautiful collector’s item! This sweetie is in very good vintage condition with a few paint chips as shown. No broken welds. Red/orange seat pad retains original Knoll label. 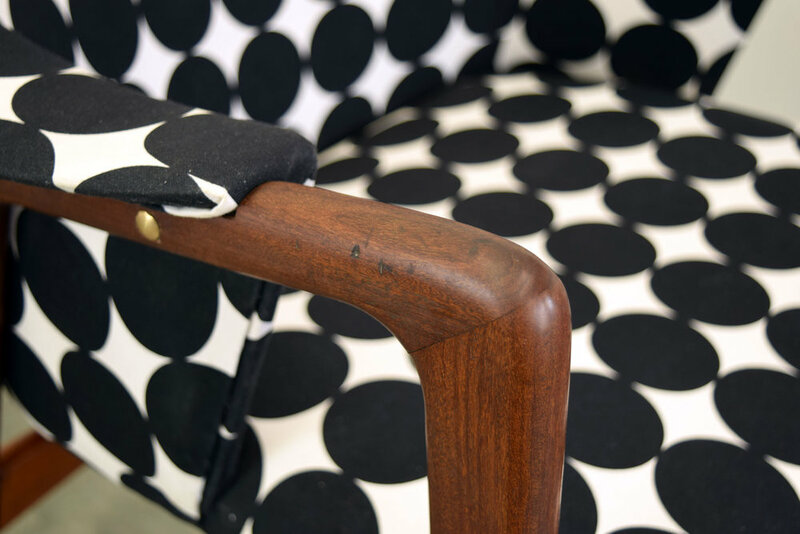 A gorgeous solid teak child's high chair designed by Nanna Ditzel for Poul Kold Modler, Denmark, 1955. Wonderfully sculptural yet simple. Adjustable foot rest. Beautifully rendered in warm teak, early edition. In good vintage condition, showing expected wear associated with use. One front leg shows a repair near stretcher; this does not affect stability or sturdiness. 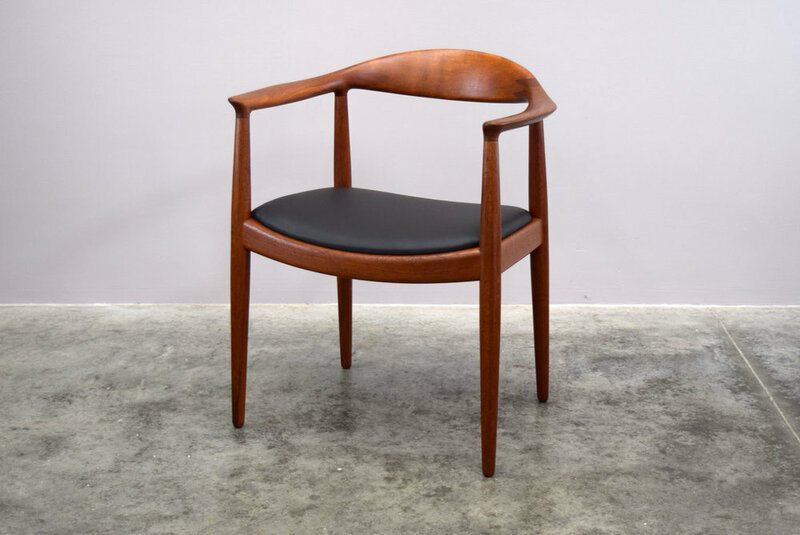 We are excited to offer an early Hans Wegner JH-503 chair designed in 1949 and produced by Johannes Hansen. 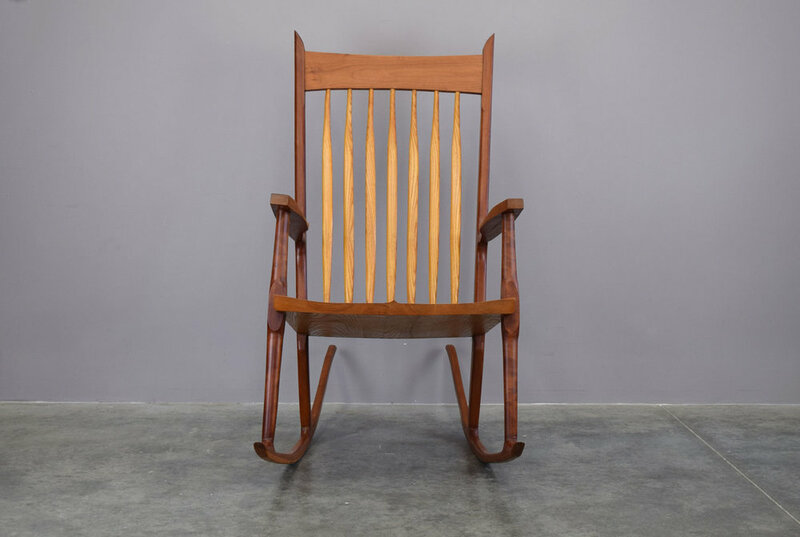 Popularly known as “The Chair”, “Round Chair”, and the “Kennedy Chair”, this is arguably Wegner’s most famous design. To see it in person is to appreciate the refined details and subtle perfection of this piece of furniture. 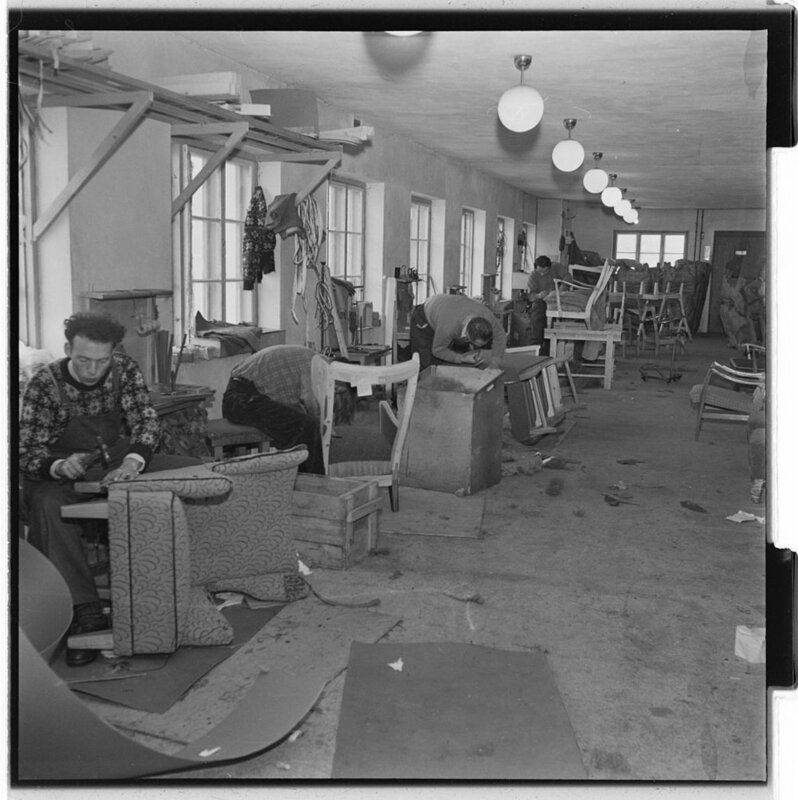 It perfectly represents Wegner’s design philosophy of "continuous purification...to cut down to the simplest possible elements of four legs, a seat, and a combined top rail and armrest." The construction features 11 pieces of wood joined by 12 mortise and tenons and two large finger joints. 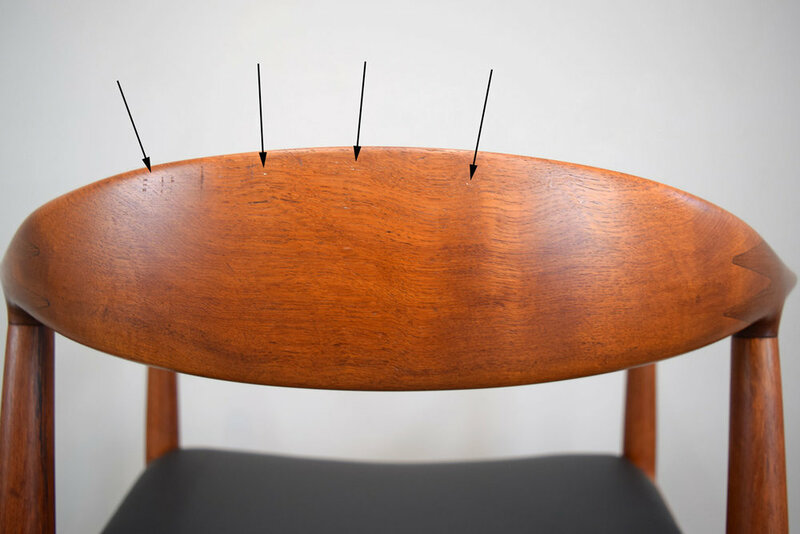 The finger joints orient the wood grain as the back rail wraps around the body to maximize material strength. 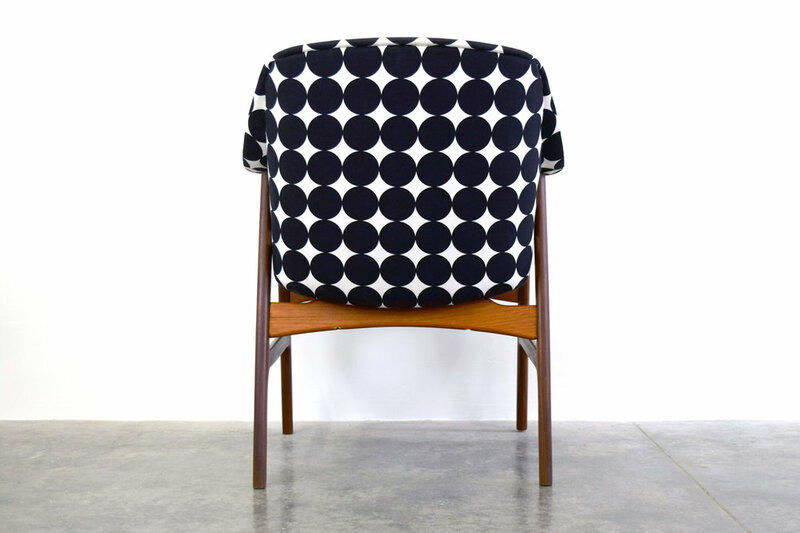 The Chair rose to prominence in the 1960 televised debate between Richard Nixon and John F. Kennedy. Both presidential candidates sat in The Chair during the debate. 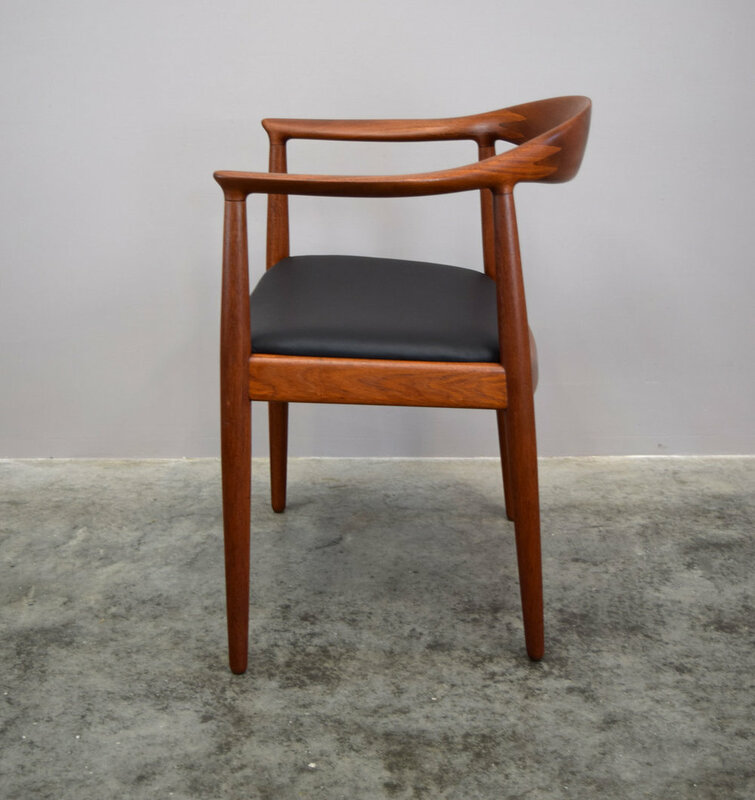 Solid old growth teak construction with new top-grain black leather upholstery. Stamped with the maker's mark. In very good vintage condition with some minor marks and wear as shown. Some of the finger joint points are filled, likely original to production. 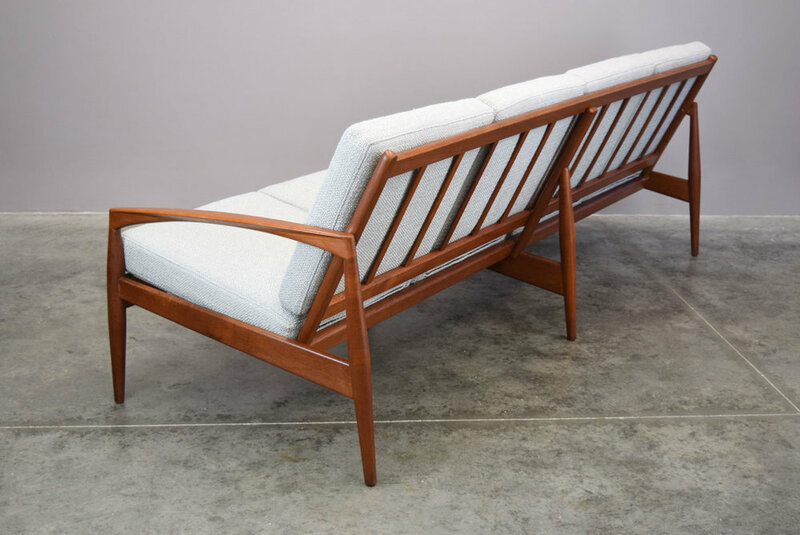 We are so pleased to present this drop-dead gorgeous and highly sought-after ‘Paperknife’ couch designed in the 1950s by Kai Kristiansen for Magnus Olesen, Denmark. 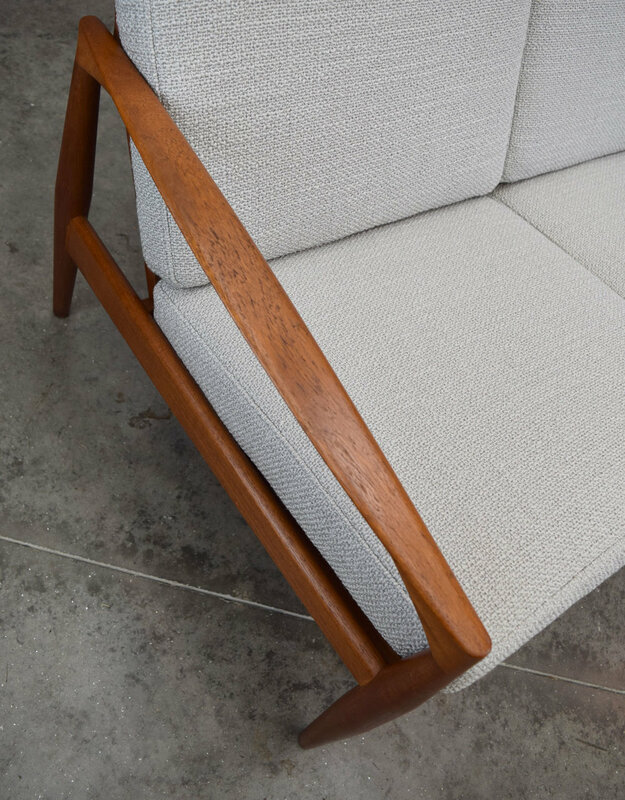 This is a very rare 4-seat model in solid teak with brass fittings. 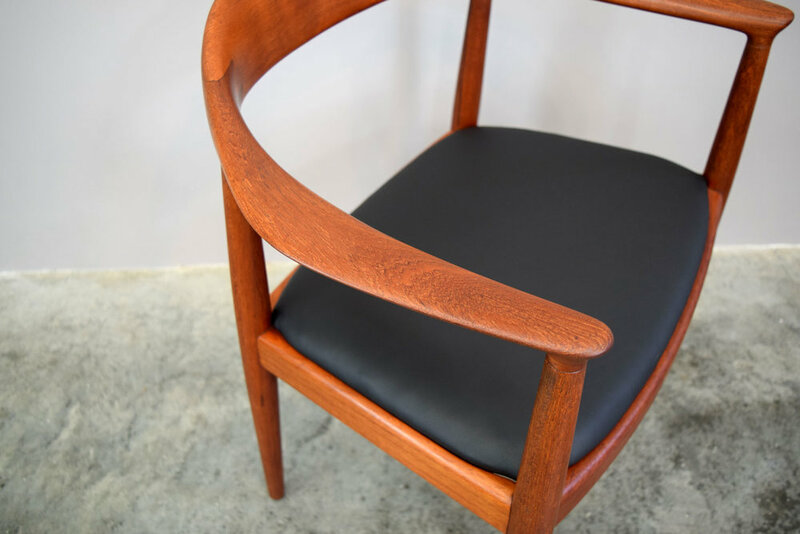 Named for the knife-like slender curved and carved arm rests. This sofa has been professionally restored with new Pirelli webbing in place of the old, tired springs, new high-density foam and gorgeous, soft, nubbly HBF Textiles 'Afghan' boucle fabric in a silver-grey colorway. The sold teak frame is in truly excellent condition with only the most minor signs of age. What a piece of art. Entirely handmade in cherry and ash, with gorgeous joinery and hand carved details. Not only stunning to look at, this is a very comfortable chair! In excellent vintage condition with only minor signs of wear. There is a slight separation (possibly original) on the arm joint, but it is very stable. 23" wide x 41" deep x 43.5" high. Seat height 14"